Restore Windows Start button and Start menu on Windows 10 or 8! 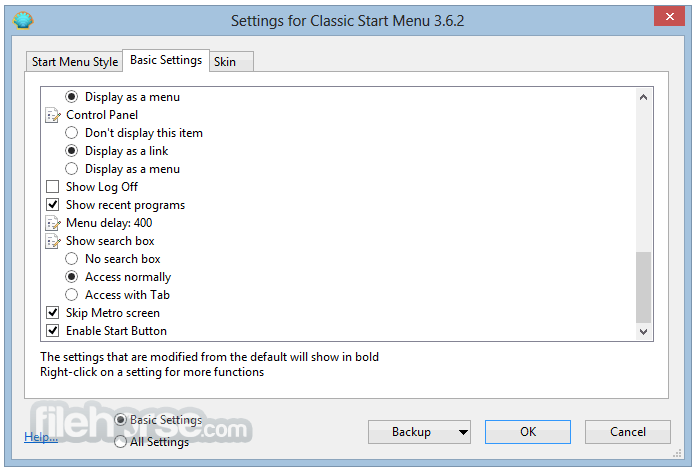 Classic Shell is free software that improves your productivity, enhances the usability of Windows and empowers you to use the computer the way you like it. 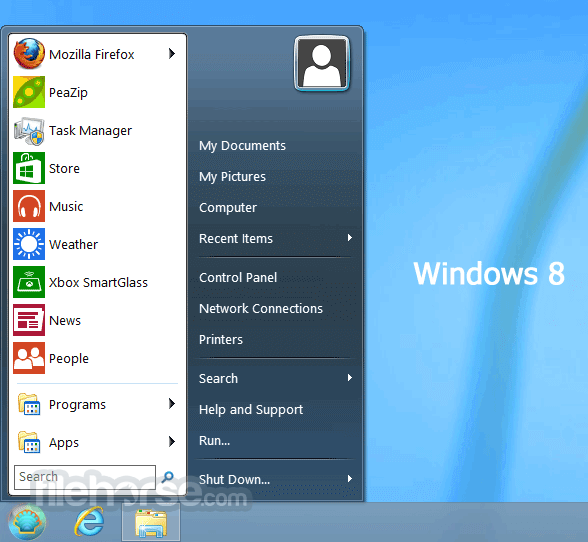 It has a customizable Start menu and Start button for Windows 7, Windows 8 and Windows 10, it adds a toolbar for Windows Explorer and supports a variety of smaller features. 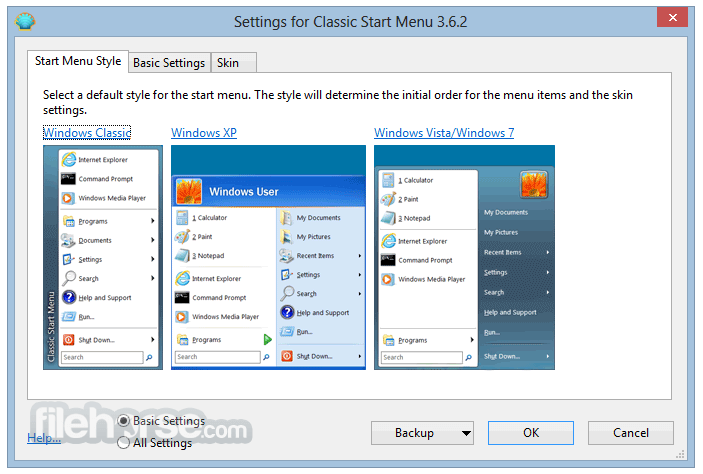 Classic Start Menu is a clone of the original start menu, which you can find in all versions of Windows from 95 to Vista. Highly customizable start menu with multiple styles and skins. Quick access to recent, frequently-used, or pinned programs. Find programs, settings, files and documents. Start button for Windows 10, Windows 8, Windows 7. 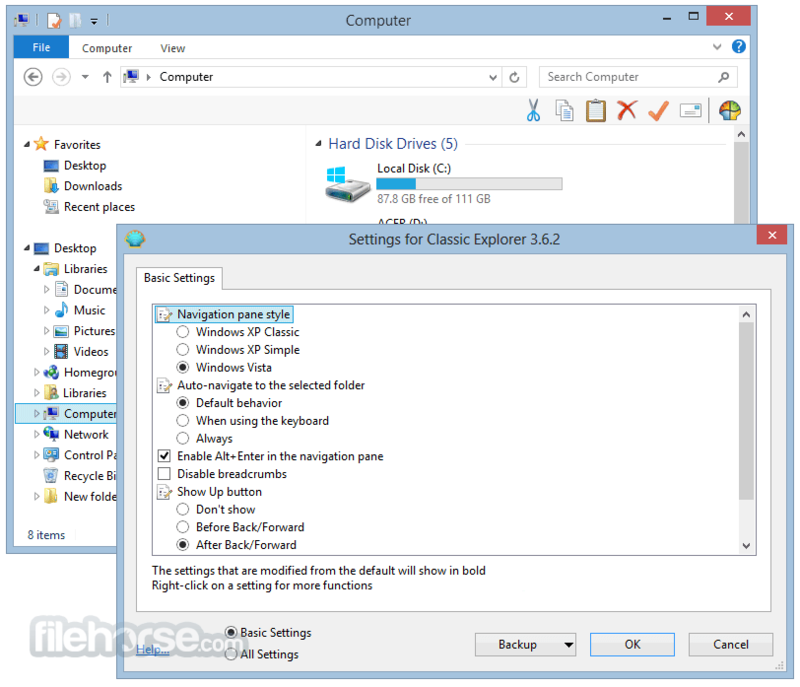 Toolbar and status bar for Windows Explorer. 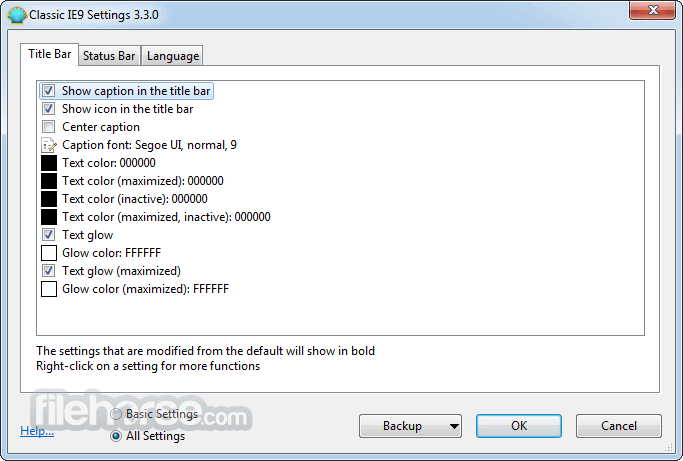 Caption and status bar for Internet Explorer. Note: Classic Shell is no longer actively developed.